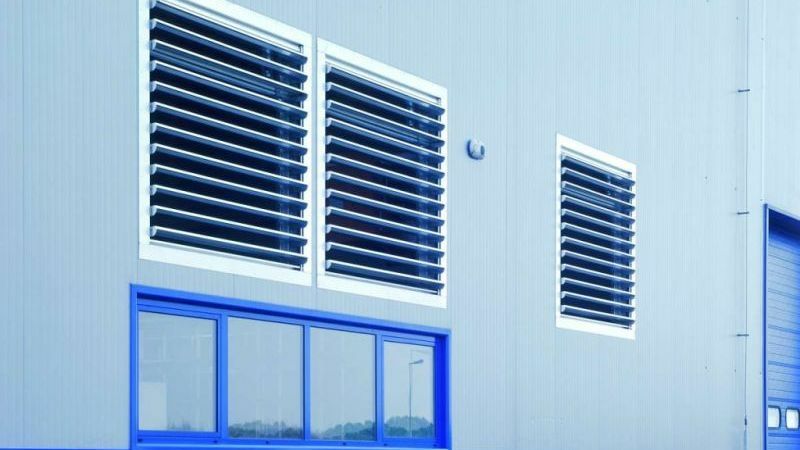 FCO can provide either inlet or extract ventilation as well as permit the entry of natural daylight, and is suited to most kinds of industrial and commercial buildings. FCO is not tested or certified for smoke control ventilation. 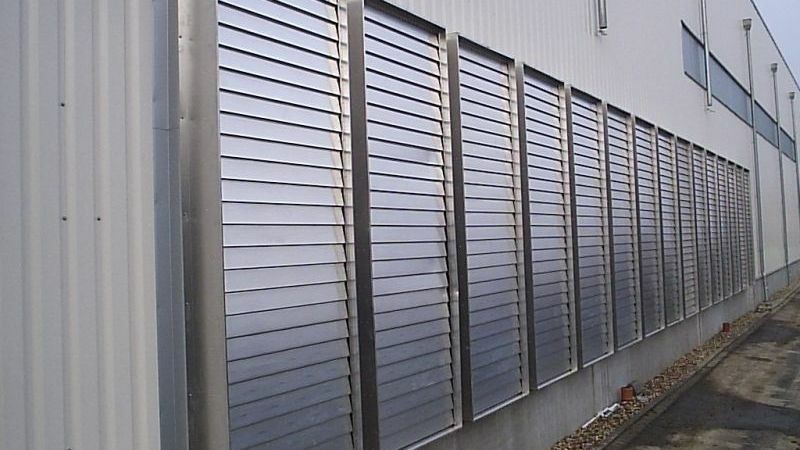 FCO louvred ventilators are suited to most industrial and commercial buildings and are among the most cost-effective kinds of natural ventilators. They are popular with Specifiers and Contractors because of the wide range of options available, and Building Operators and Owners because of their simplicity and low maintenance. Wide range of applications - FCO is installed in the vertical for either air inlet or extract. Polycarbonate and glass versions allow the entry of natural daylight. FCO is also often used as a termination piece for large ducted or air handling systems. There are pneumatic, electronic or hand controls and a wide range of louvre types, accessories and finishes. High performance - FCO is aerodynamically efficient and has a high resistance to weather. Easy to install - FCO is delivered fully assembled to site. It has a wide range of base profiles to suit most kinds of curtain walling, glazing or prepared openings. Durable - FCO is manufactured from tough, corrosion resistant aluminium alloy, grade 3005 in accordance with EN573-3, with stainless steel fixings. Louvres pivot on double nylon UV- resistant bearings. Quality of manufacture - FCO wall vents are manufactured under the ISO 9001 quality standard. Each unit is given a functional test before despatch. Design service - Colt provides a pre-order design service. Please contact Colt for more information relating to the application, specification, installation or servicing of FCO wall vents. 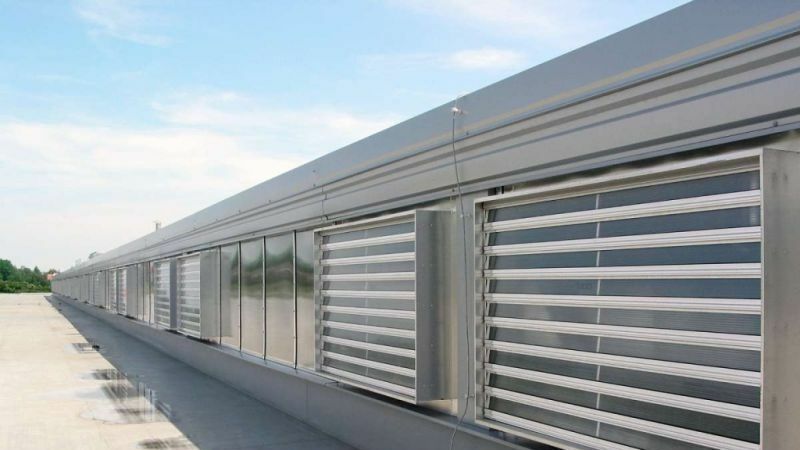 FCO natural louvred ventilator, suitable for natural day to day ventilation through the façade. Frame manufactured from corrosion resistant aluminium alloy grade 3005 in accordance with EN 573-3, with stainless steel fixings. For installation in the vertical only. Not tested or certified for smoke control ventilation. Twelve width options from 426mm throat width to 2326mm throat width. Twenty two length options available from 658mm to 3451mm throat length. Seals are either low-loss brush seals (for aluminium louvres) or rubber seals (for glass or polycarbonate louvres), which reduce air leakage when closed. These reduce air leakage when the ventilator is closed. Suitable for fixing either into curtain walling, glazing or prepared openings. For both electric and pneumatic versions, either double action locking mechanisms, failsafe open or failsafe closed. If used as either an electric or a pneumatic smoke ventilator, activation is either by local thermal fuse which opens the unit at a pre-selected temperature, or by responding to an external release signal. * In many cases a U value of at least 3.5 W/m2/K is required to meet local regulations. Colt can advise on how to achieve this.